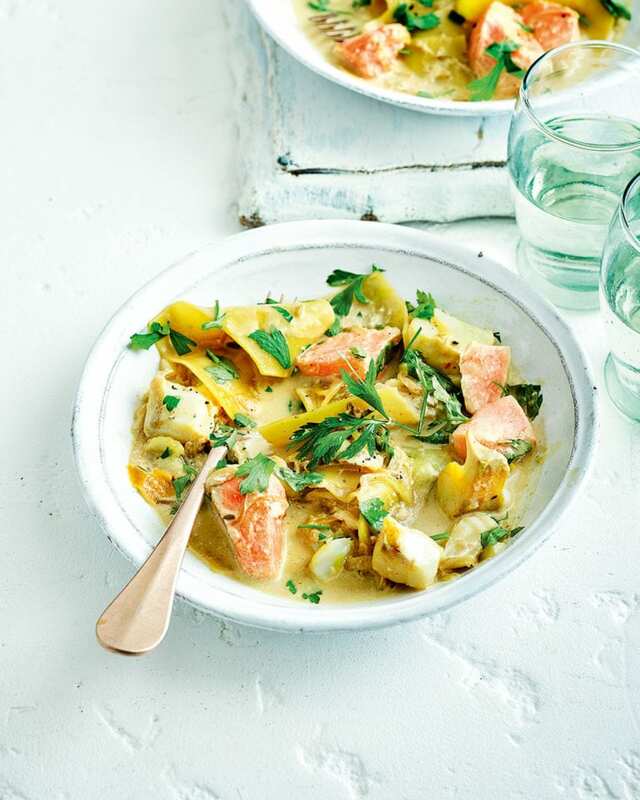 We’ve put a twist on bourride – a French fish stew – to cut down the cooking time but not the flavour. Make this midweek meal in just 30 minutes. Heat the oil in a medium heavy-based saucepan over a low-medium heat. Cook the onions for 8 minutes until starting to soften and turn golden. Add the fennel seeds and cook for a further 2 minutes. (about 8 minutes), adding the fish pie mix after the first 2 minutes of cooking. Remove from the heat, stir in the mayonnaise/aïoli and parsley, season with a pinch of salt and a grind of pepper, then squeeze over the juice from the orange to taste.